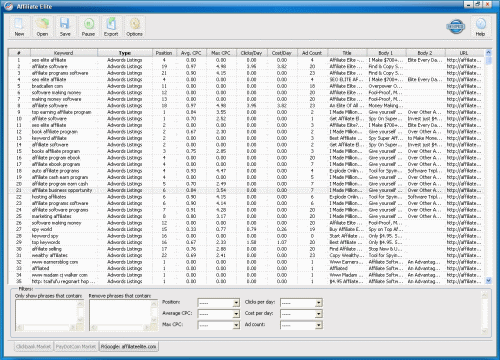 Affiliate Elite is a simple software application that allows affiliates to access data to dominate a market. Can it, and is it worth it? Well... sort of. Whilst the data compiled is easily available via each of the websites, the ability to compile so much in such a short time is clearly a plus. One key point here is being able to identify trends in products - the idea is to get on the ‘upward curve’ on a new product as soon as possible. However, simply displaying data based upon what I can already get within 60 seconds of browsing online isn’t enough to justify membership, so what else can Affiliate Elite do? The rise in the graph shows a 'profitable' product. It's sales and Clickbank 'gravity' have gone up. This indicates the sales page is converting well and money is to be made. Searching down the list of possible projects, the next in line is the ‘Reverse Google Search’. Being incredibly witty, I plugged in AffiliateElite.com AffiliateElite.com to use as the basis for my analysis. The results are very specific; you can essentially track and trace an entire websites presence on Google (only Google) in a flash. This kind of data would take much longer to aggregate by hand (as well as being incredibly tedious!). • Leverage off existing search competition. The total data includes search positions, keywords, maximum and average cost per click, data regarding the result (full Adwords ad or search result) and the URL being linked to – it is however only for the Google search engine and not anything else. The data compiled is comparable to the SEO PowerSuite software I use, although the addition of Adwords results does blur the similarities. The addition of Adwords makes the collected data a sort of ‘cheat sheet’ for success. You can simply download your competitor’s results and build up data around them. However, this strategy – whilst incredibly useful – does neglect ‘new’ search demands (Google reported than some 20% of its monthly searches are totally new and unique to its data base each month). Could there be a goldmine everyone else is missing? I suggest using the ‘Reverse Google Search’ tool in conjunction with keyword research tools as well. I copied and pasted some keywords from Wordtracker for ‘how to blog’ (extremely generic term) to test it out. A neat “scheduler” feature allows you to run timed tests - daily, weekly or monthly - to analyze each campaigns competition status. Handy in the PPC world where traffic, costs-per-click and Googles algorithm are in constant motion. Affiliate Elite has one more feature - 'Find Super Affiliates'. I couldn’t get this one to work. At first thought I wondered if this would be my firewall settings, but upon looking into the customer support service (Brad Callen’s network has a comprehensive ticket based system in place) and the knowledgebase I found this. Funny; they don’t feature that on the sales page. The bonuses advertised are useful yes, but limiting. The training videos are only screencast tutorials which show how to use the software and how you can specifically benefit from each part. I say “only” because it doesn’t introduce you to anything new and different about affiliate marketing itself – screencast tutorials are incredibly helpful and a must for any software product. The actual tutorials are quite good with demonstrating the software and explaining the pros, but I felt left wanting more on ‘how to affiliate marketing’. Picture giving a kid a guitar and the music but not teaching them how to play it. Sure, they may figure it out by trial and error, by asking someone else or by buying a book or something – but why should he be left to his own devices? The forum (a community for everyone of Brad Callen’s customers from his Keyword Elite, SEO Elite, SEO Mindset etc. product range) is perhaps the perfect solution… but it’s quiet! Posts are sparse and there plain and simply isn’t enough volume of traffic to trigger fruitful discussion. There are numerous other platforms on the net such as Sitepoint where real experts ‘hang out’. 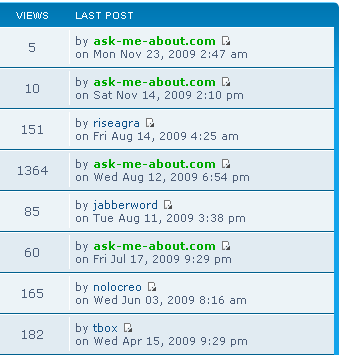 Screenshot shows the latest activity in the busiest sub-forum - 'Feature Requests'. The 19 hours of audio recordings with industry experts such as Brad Fallon (however this sells for $147 at elitesessions.com, not the $337 stated in the pitch) is invaluable however, complete with full PDF transcript. I downloaded all of them and coupled with the Reverse Google Search feature, they’re one of the most valeable parts. To access this information for only $4.95 (as a bonus to the software) is a bargain when you consider the quality of content. Each individual literally spends hours divulging their personal secrets to success. Mp3s aside, fundamentally I see this product being pitched wrong. Don’t get me wrong – it’s a quality affiliate software product and all, but I see it being ‘tossed’ into the money-making crowd, possibly even Get-Rich-Quick. That’s simply wrong. 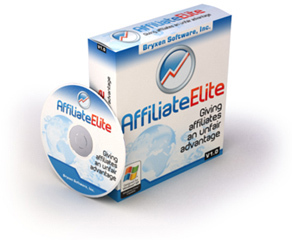 Affiliate Elite is a powerful yet but really specialist tool. It is engineered specifically for reputable niche players who have the traffic, credibility and resources to leverage off the latest products to promote. It is engineered to make you more competitive against other affiliates by forensically analyzing their entire presence at Google. It is engineered to track Adwords competition trends over time. This is serious software for serious marketers. I’m not a serious affiliate marketer (not like some of those guru testimonials featured! ); I’m guessing not every buyer is. The lure of making lots of money via affiliate marketing without questioning the process perhaps catches a lot of people out. But more importantly are those who are ‘in affiliate marketing’ but not 110% engaged with it – and that’s fine! Not everyone is an affiliate marketer; some people will use affiliate marketing on the side. I personally like the policy of diverse income streams. • NOT for product developers specifically – due to the lack of the ‘Find Super Affiliates’ feature at the moment. • NOT for players with little or no knowledge of the affiliate marketplace. Have you banked your first affiliate cheque yet? But for only $4.95 you can access the information for a month you need to make your affiliate marketing (or even just general online marketing) much more successful. You can cancel your subscription at any time; even straight after downloading the expert interview files and performing dozens of ‘Reverse Google Search’ runs. For the new or less serious online marketers, there’s still a lot there at incredible value-for-money. For me, that’s why I bought it. The elite training sessions are invaluable and the reverse Google search feature is fantastic… but I don’t need it day in day out – especially for a monthly subscription. For the serious affiliate marketers however, it is a gamechanger. You can track your entire industry on Clickbank and promote new, relevant and proven-to-be-profitable products straight to your audience and you benefit from yet more training and tuition via the elite sessions. For you, the focus is on making the software pay for itself over and over and over again. That’s why I’ve engineered an exclusive bonuses and resources package. Although the bonus package is aimed at helping serious affiliate marketers get the most out of their subscription, everyone gets the following bonuses. I haven’t just cobbled together any old mix of products – I’ve used these all, read them from cover to cover and know that they’ll be invaluable to your affiliate marketing business. One of the first e-Books I ever read about online marketing and it stuck with me. I actually went out and bought the resellers rights just so I could pass it on; and that wasn’t easy for an e-Book which sells everyday for $97! I though it would be the perfect match for Affiliate Elite. The e-Book discusses everything from how to market other people’s products, suitable media types, top affiliates mistakes and how to resolve them and other must-know advice for anyone contemplating entering the affiliate marketing arena. 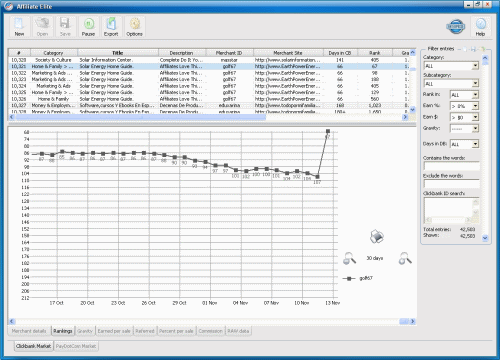 Although the Elite Sessions mp3s are incredibly detailed, they are long, reasonably broad in topic. I prepared an hour of tightly-focused audio seminars specifically about affiliate marketing bundled into three file sets. I’m incredibly excited about these audio files. Personally, I find trawling through large e-Books exhausting and hard to focus entirely (although I have included full PDF transcripts with resources as well!) – with these you can simply upload them to your iPod for example and soak up the pearls of affiliate marketing in your spare time, whilst in your car, walking your dog or kids to school or wherever you have ‘dead’ time for learning. MP3s can be a really powerful learning tool here. 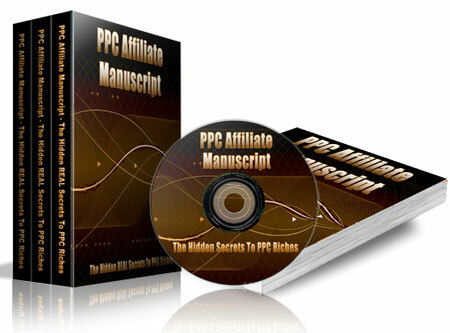 The PPC Affiliate Manuscript is a concise primer to pay-per-click advertising with affiliate marketing. Pay close attention here, because Adwords campaigns can easily become a runaway nightmare. This MP3 goes perfectly with the ‘Reverse Google Search’ and ‘Analyze Adwords Competition’ tools in Affiliate Elite. The Super Affiliate Code discloses the key differences between bog-standard affiliate marketers and ‘super affiliates’ – experts who run serious full time profitable businesses in the affiliate marketing industry. In five ‘secrets’ you’ll find out how to market like the pros. 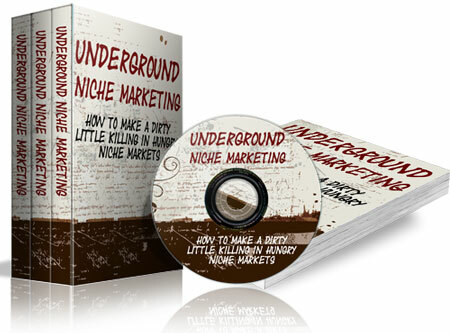 Niche marketing is the future for internet growth and new entrants; the bulk of search and commerce on the net is for the lesser known, more specific items – ‘niche markets’ – and Underground Niche Marketing is a step-by-step guide to conquering your chosen niche. I love the way this complements the predatory capabilities of the ‘Reverse Google Search’ feature of Affiliate Elite; you’ll be able to use the software much more effectively when you understand how niche markets work and can be taken advantage of. 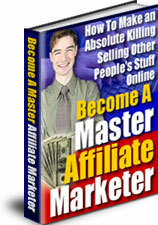 Almost an hour of specialist affiliate mp3 files, all with complete PDF transcripts. There are hundreds of resources I could reference here which can help you with your marketing efforts online. Instead of providing a list to download, I’ve created a resources section packed with affiliate marketing tools, tips, techniques and training (no need for those ‘membership sites’) where everyone who clicks through via my link can submit recommendations for helping others with affiliate marketing. The very nature of my resources centre makes it difficult to list everything – but whether you want free training videos, trial software or expert reports it’s all there! My bonus package is not hundreds of unrelated e-Books. It’s not going to be a waste of your time and effort. It’s not going to distract you from your affiliate marketing business. I’ve used all of the material and that’s the reason I’m offering it to you know. As a serious affiliate marketer, your success is my success. It’s in my interest to only offer you the best I can. Sure, you could go elsewhere and perhaps download dozens of ‘internet marketing eBooks’ … but would that distract you from your affiliate marketing? For only $4.95 for the first month, Affiliate Elite is an absolute steal. Once I’ve confirmed your purchase was via us, I’ll send a link to the download page right away.